In today’s world still there is a mystery about the black hole. Black Holes are some of the strangest and most fascinating objects found in outer space . They are objects of extreme density, with such gravitational attraction that even light can not escape from their grasp if it comes near enough. People can’t see black holes because no light can get out. They are invisible. Albert Einstein first predicted black holes in 1916 with his ” general theory of relativity “. 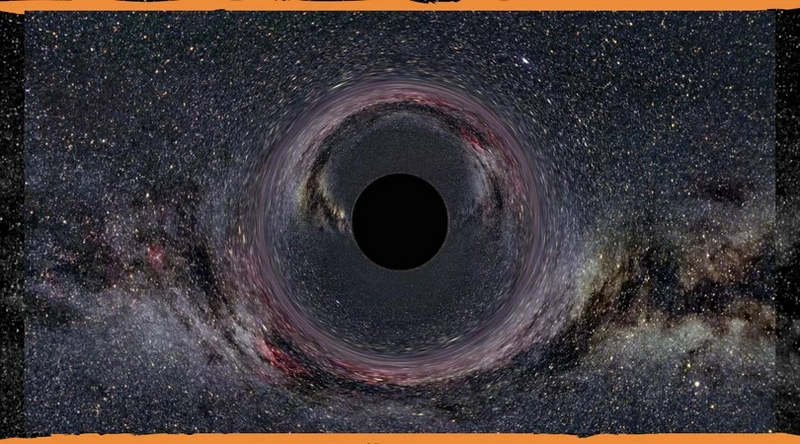 The term ‘ Black Hole’ was coined in 1967 by American astronomer John Wheeler, and the first one was discovered in 1971. Space telescopes with special tools can help find black holes. There are three types of Black holes – stellar black holes, super massive black holes and intermediate black holes. They can be big or small. Scientists think the smallest black holes are as small as just one atom. These black holes are very tiny but have the mass of a large mountain. “Stellar” Black holes are small but deadly. When a star burns through the last of its fuel , it may collapse of individual stars are small, but incredibly dense. Such an object packs three times or more the mass of the sun into city size range. This leads to a crazy amount of gravitational force pulling on objects around it. Black Holes consume the dust and gas from the galaxy around them, growing in size. The Milky Way contains a few hundred million stellar black holes. Small black holes populate the universe, but their cousins , Super massive black holes dominate. These black holes are millions or even billions of times as massive as the sun, but have a radius similar to that of Earth’s closest star hole at its center. The super massive black hole at the center of the Milky Way galaxy is called Sagittarius. It has a mass equal to about 4 million suns and would fit inside a very large ball that could hold a few million Earths. This black holes may be the result of hundreds thousands of tiny black holes that merge together . Intermediate black holes are medium sized black holes. Such bodies could form when stars in a cluster collide in a chain reaction. Stellar black holes from when the center of a very massive star collapses in upon itself . This collapse also causes a supernova or an exploding star , that blasts part of the star into space . Scientists think super massive black holes formed at the same time as the galaxy they are in. Astronomers have found convincing evidence for a super massive black hole in the center of our own milky way galaxy, the galaxy NGC 4258, the giant elliptical galaxy M87 , and several others . Scientists verified the existence of the black holes by studying the speed of the clouds of gas orbiting those region. When a black hole and a star are close together, high-energy light is made. This kind of light can not be seen with human eyes. Scientists use satellites and telescopes in space to see the high-energy light. Black holes do not go around our solar system . Earth will not fall into a black hole because no black hole is close enough to the solar system for Earth to do that.But if the black hole passes extremely close to earth , its tidal forces could crack the earth’s crust,creating the super volcanoes mentioned in the press release . However , if the black hole comes that close , it is quite likely earth would be ejected from the solar system , causing even bigger problems as the planet freezes. The sun is not a big enough star to make a black hole The sun will never turn into a black hole. How Is NASA Studying Black Holes? Black holes sound too strange to be real. But they are actually pretty common in space . There are dozens known and probably millions more in the milky way and billion times that lurking outside . The makings and dynamics monstrous warping of space time have been confounding scientists for centuries. NASA is using satellites and telescopes that are traveling in space to learn more about black holes.